You don’t have to be an expert to watch, enjoy, and be amazed by a world-class gymnastics performance, like Uzbek gymnast Oksana Chusovitina’s silver medal-winning vault routine at the 2008 Summer Olympic Games in Beijing. But you do have to be something of an expert to understand the process of judging and scoring these routines, especially since the old system of the “perfect 10” score was replaced a decade ago by a new, more complex system. Read on for nine fascinating facts that can give you a handle on the new Code of Points, and let you watch your next gymnastics event with a more knowing eye. Scores are based on two elements. Today, a gymnastics score has two elements: the difficulty score, which starts at zero and adds points for the difficulty value, the composition requirements, and the connection value of the routine, and the execution score, which starts with a score of 10 and deducts points for any mistakes like unbalanced landings or falls. 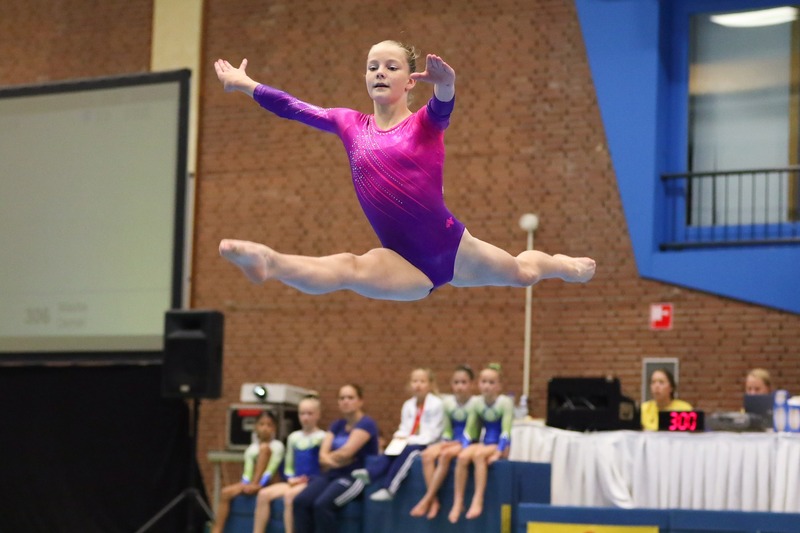 A gymnast’s overall score is obtained by adding together the difficulty score and the execution score; for top-level gymnasts, overall scores usually range from 14 to 17. Skills are grouped into difficulty levels. As mentioned above, judges establish a difficulty score by using a system in which all possible skills are grouped into difficulty levels, each worth a specific number of points. For example, in the uneven bars event, skills can range from A-level, worth 0.1 points, to G-level, worth 0.7 points (other events include skills up to I-level, which are worth 0.9 points). The eight highest-rated skills that a gymnast performs during a routine are the ones counted towards the difficulty score. Combinations can be as important as individual skills. Gymnasts can’t just pick and choose skills. If many gymnasts’ routines look quite similar, that’s because it’s mandatory to perform five certain skill types in each and every routine. For example, you’ll always see gymnasts performing a line of two or three flips during a balance beam routine, because one of the required elements for that event is an acrobatic series with at least two flips, or “flight” elements. Penalties are applied to the overall score. Making a mistake during a routine isn’t the only way a gymnast can lose points. In a what is known as “neutral deductions,” penalties can be deducted from the overall score for things that aren’t related to how difficult a routine was or how well it was executed. For example, a gymnast might be given a penalty for stepping out of bounds, for going over the time limit, or for a costume infraction. It’s possible (and permitted) to game the points system. Under the new Code of Points, getting the highest score possible is as much about math as it is about skill. That is, when teams and coaches crunch the numbers, they sometimes find that a gymnast can score more points by performing harder skills imperfectly than by performing less difficult moves flawlessly. This is why some athletes deliberately stack their routines with harder skills and combinations. New moves must be given an official difficulty score. 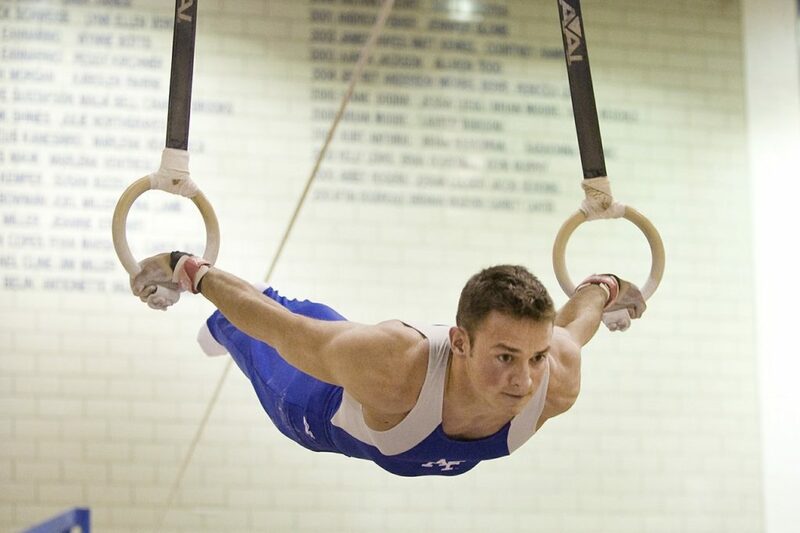 It’s not uncommon for gymnasts to invent new moves as they develop their routines. 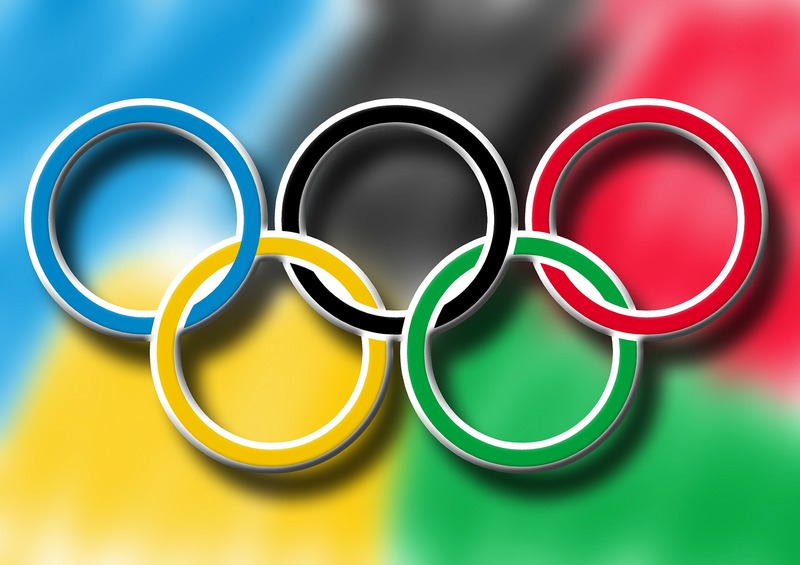 When this happens, the Fédération Internationale de Gymnastique must assign it an official difficulty score before it can be performed in competition, so that it can be assessed correctly by judges. Once a gymnast has successfully performed a new move in competition, the move is given a name (usually the gymnast’s last name, as in the “Chusovitina,” a full-twisting double layout performed in the floor exercise event). Vault scores are announced the fastest and are often the highest. 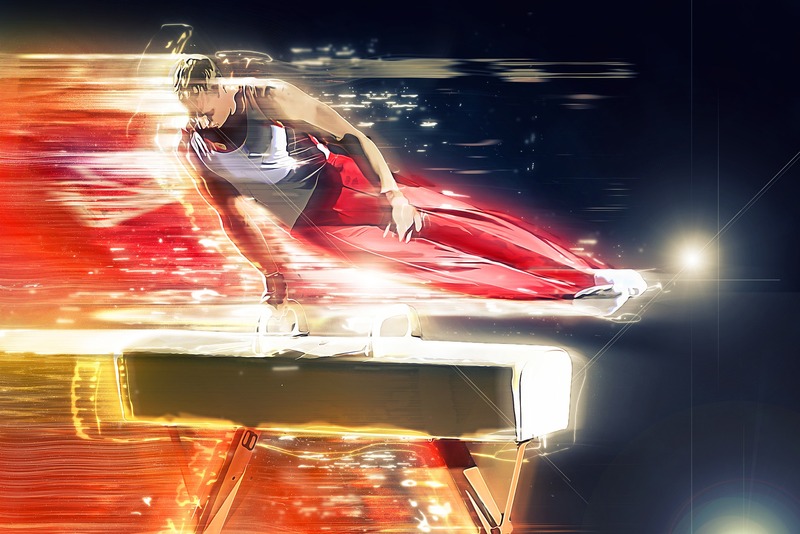 The reason for this is simply that the vault is the fastest competitive gymnastics event, with a typical vault routine taking about seven seconds compared with the standard 90-second length of a floor routine. Not only are scores announced more quickly, but they often seem higher because the gymnast has had less time to lose points or receive deductions. Gymnasts are allowed a breather after a fall. Gymnasts will certainly lose points for falling off an apparatus, but they are also allowed a short pause after their fall without incurring a further penalty. 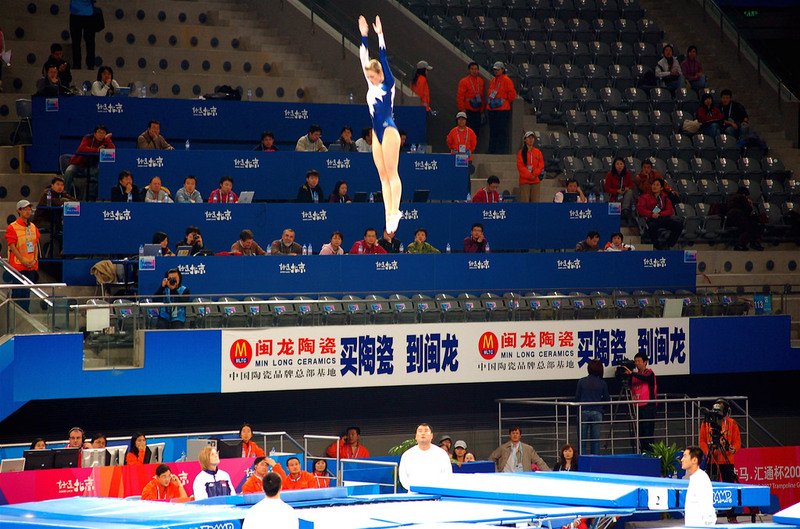 After a fall from the uneven bars, for example, a gymnast can take a 30-second breather, while a fall from the balance beam comes with a 10-second breathing period. During this time, gymnasts are also allowed to talk to their coaches.